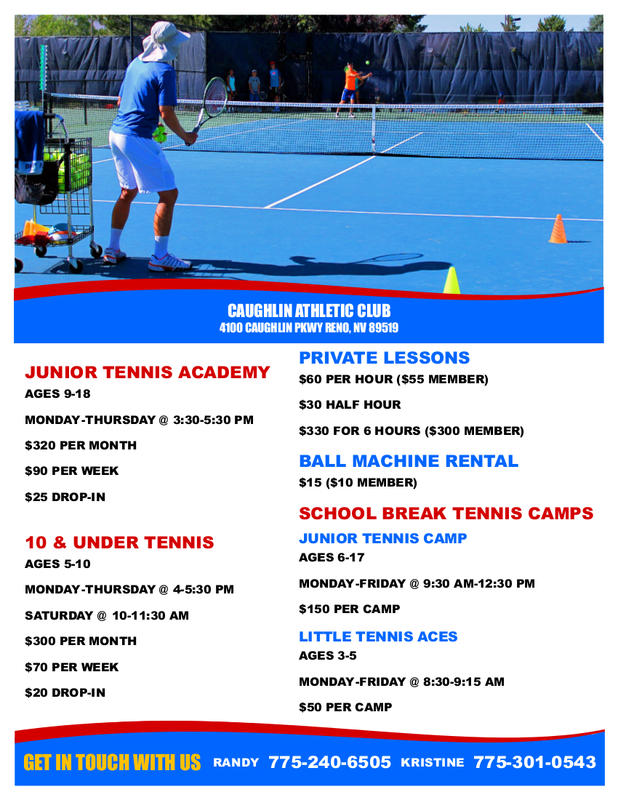 We are pleased to announce the kids tennis classes in Reno, Nevada are going year round at Caughlin Club. The tennis class is designed for kids to come and vastly improve their tennis games, make new friends and have a lot of fun. We will be offering kids tennis classes for players 10 and under of all skill levels. Our 10 & under tennis class provides a safe, fun and exciting environment for kids to learn to play tennis. The major tennis strokes needed for success will be emphasized. Children will be introduced to swing rhythm, topspin and rallying. Instruction and equipment are specific to various age groups. Kids will learn how to play tennis utilizing smaller courts, properly fitted racquets and specialized tennis balls. We like our kids to play tennis year round because they deserve it. When the weather turns for the worse, we take the kids to play tennis indoors. 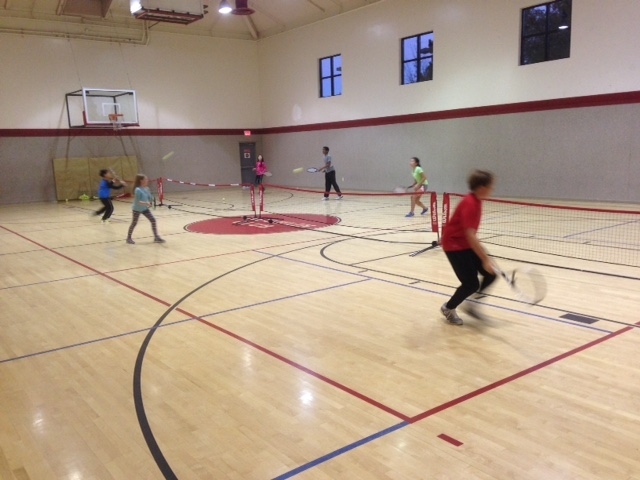 At Caughlin Club we have a gymnasium where we set up a safe environment by having the kids play tennis with depressurized balls on smaller court sizes. This is a great introductory kids tennis class for students to play games with one another, keep score and make new friends while having fun. For additional tennis class information and dates call us at 775-240-6505 we would be happy to help you.